A B.C. 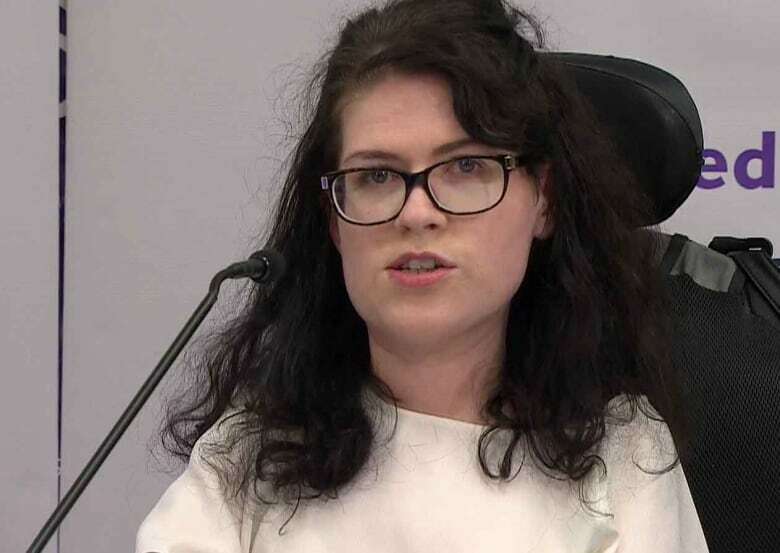 woman with spinal muscular atrophy is joining the British Columbia Civil Liberties Association to challenge the federal government's new assisted-dying legislation. Julia Lamb, 25, of Chilliwack, B.C., launched the constitutional challenge with the BCCLA in Vancouver on Monday morning. Lamb said she has been using a wheelchair since she was six, and in spite of her disease, she had a full childhood and continues live a full life working part-time as a marketing assistant. "As I look back at all I have accomplished … I feel a strong sense to forge ahead, but I can't ignore the progression of my disease," she said. "My ligaments and tendons have contracted over time, which limits my mobility and causes me pain," she said. "I am terrified that I could be trapped in a state of physical and mental suffering that could last for months, years or even decades. Having to think about this future causes me immense physical distress." Lamb said she needs personal care for basic tasks such as bathing and even turning over in bed. The lawsuit, which was filed on Monday morning in B.C. Supreme Court, challenges the new assisted-dying law, which only allows medically assisted dying for Canadians with terminal illness. It does not permit assistance in dying for those who are suffering with no immediate end in sight, said Grace Pastine, litigation director for the BCCLA. "This legislation is clearly unconstitutional. It deliberately excludes a class of Canadians — those who are suffering with no immediate end in sight. How can we turn away and ignore their pleas?" "Grievously and irremediably ill Canadians who are suffering unbearably should have the right to choose a dignified and compassionate death. This right was confirmed by the Supreme Court of Canada last year." Pastine also issued a plea for Canadians in similar circumstances to contact the BCCLA to add their voices to the case. The case will be led by the same legal team that guided the previous court challenge. That includes Joseph Arvay and Alison Latimer, both of Farris, Vaughn, Wills & Murphy LLP, and Sheila Tucker of Shapray Cramer Fitterman Lamer LLP. BCCLA executive director Josh Paterson said the group has launched a crowd-funding effort on the gofundme.com website in order to help pay for what he expects to be a costly legal battle. "The last time we had to fight this battle we spent over $200,000 going up to the Supreme Court. That was in addition to the hard work of lawyers like Alison Latimer who generously donated their time," said Patterson. The case will not include a direct legal challenge of the government's decision not to include advance directives in the new legislation, said Paterson. A spokeswoman for Justice Minister Jody Wilson-Raybould issued a short response to the court challenge. "We are aware of this potential challenge and will respond in the courts as appropriate," said the statement issued by the director of parliamentary affairs, Joanne Ghiz. "In Carter v. Canada, the Supreme Court of Canada made a legal determination and, as parliamentarians, we responded. The medical assistance in dying legislation is a principled, cautious and deliberate response, and I am confident that it is constitutional." 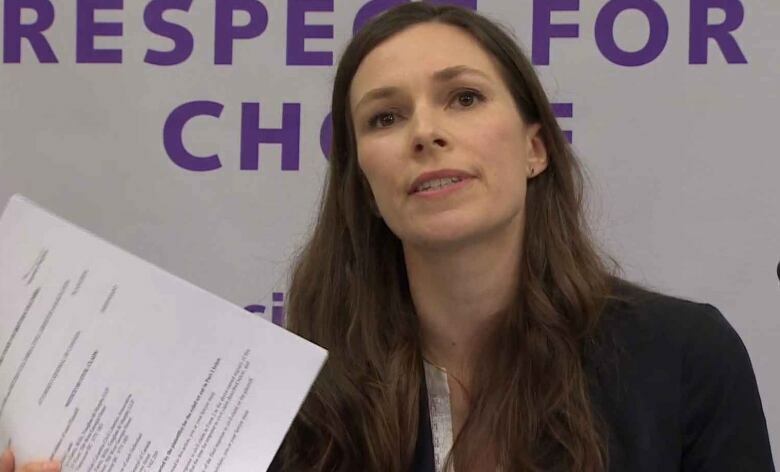 "The new legislation will have the perverse effect of forcing seriously ill Canadians to resort to violent methods or the 'back alley,'" said Pastine. "People will find ways to end lives that have become unbearable, even if that means choosing a violent, risky death. No one should be forced to make that cruel choice." The government said it was operating under a compressed timeframe to meet a June 6 deadline imposed by the Supreme Court and promised there will be further study and possible amendments. Spinal muscular atrophy is a progressive neurodegenerative disease characterized by loss of motor neurons and muscle wasting, often leading to early death.